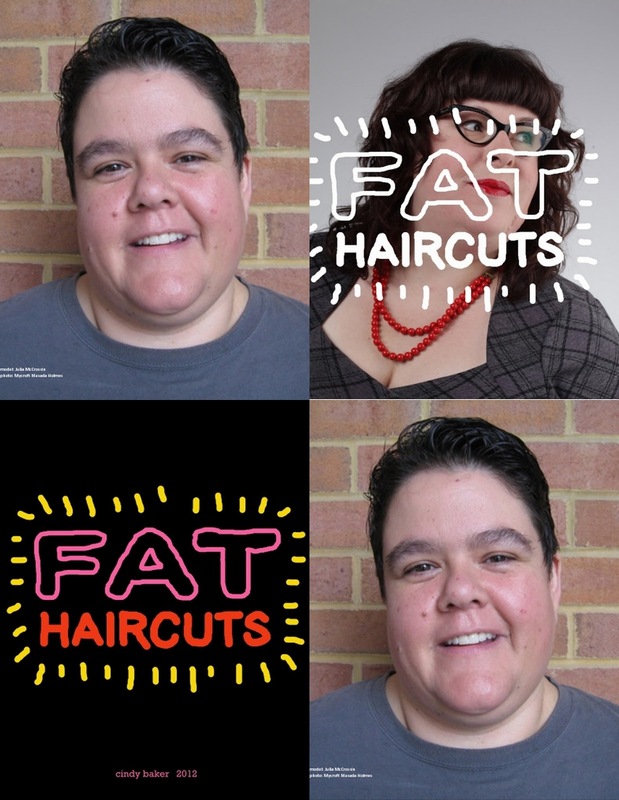 Cindy Baker’s book “Fat Haircuts” is out – and my partner Julia McCrossin is in it! 5th thumbnail; photo by moi right after a haircut. “Hey everyone! For all those who asked, here's how to get a copy of the Fat Haircuts book! It's pretty expensive, even selling direct from the printer, but they're having a sale until the end of July for 55% off! That should make it about $70, and shipping is free if you spend at least $65! If you miss the sale, they usually give a coupon code to people who like their facebook page or follow their twitter account. If you can't afford it, tell your library* to buy it instead! *Boston Public Library - Jamaica Plain Branch.